Most people would title this recipe fish cakes and tartar sauce, but those people haven’t tasted this tartar sauce. 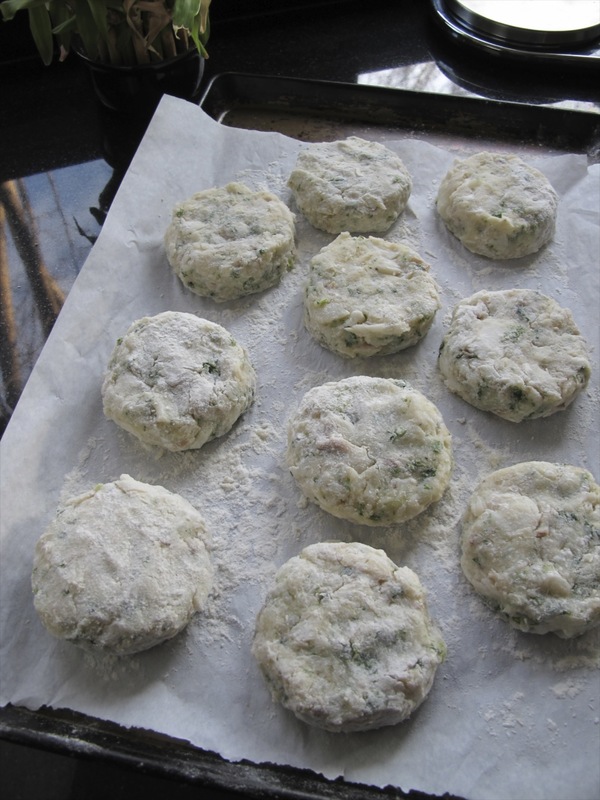 Don’t get me wrong – the fish cakes are excellent – really excellent! But the tartar sauce – oh my! 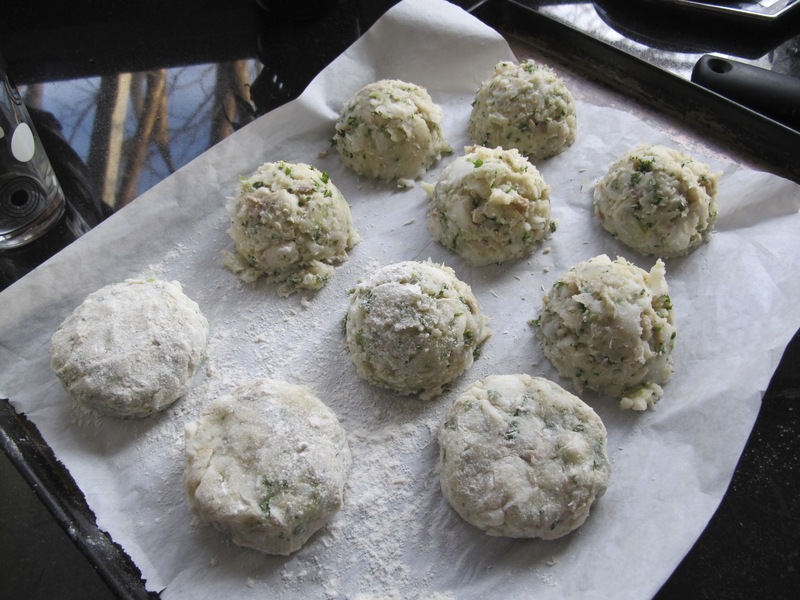 I had no experience making fish cakes, but after seeing a great recommendation by a fellow blogger at Cooking in Sens, I decided to give them a try. The recipe looked like a winner and the photos were lovely. I made a grocery list, did my shopping and cooked these for dinner last night. I am so glad that I did. Drat. I forgot to take a picture of the fish cakes in the frying pan, and they looked good. Trust me. Give this recipe a try. You won’t be disappointed! Thanks again to CookinginSens. 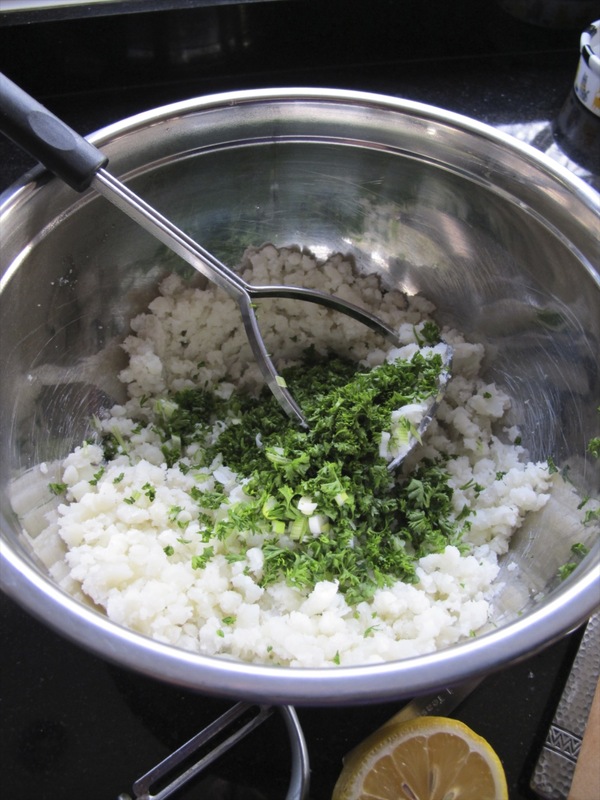 To make the tartar sauce, mix together the cornichons, onions, Sriracha, lemon juice, mustard, mayonnaise, salt and pepper, then refrigerate. 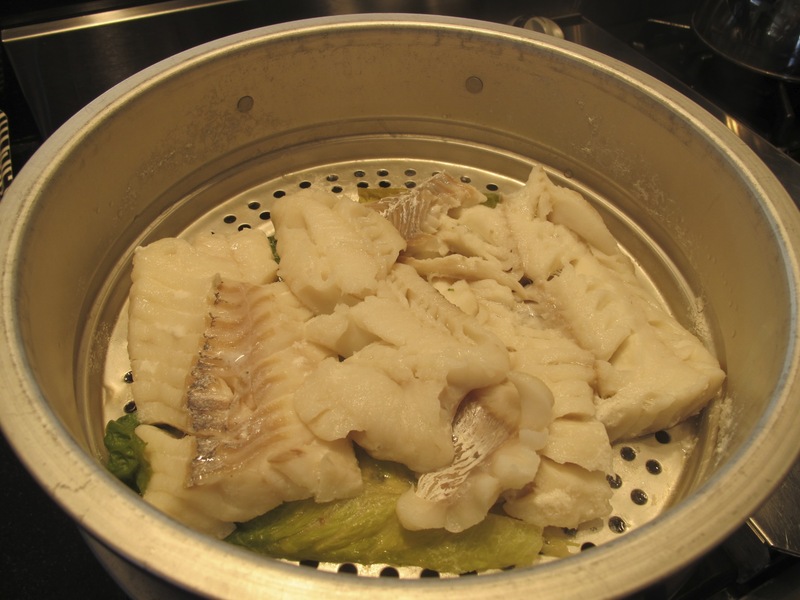 Steam the cod for about 10 minutes until it flakes, then mix with the potatoes, onion, parsley, flour, egg and salt. Fry the fish cakes in the peanut oil until brown and crusty. Serve with the tartar sauce. I can’t wait to try this recipe. I love crab cakes but crab isn’t always in season (or on sale). Homemade tartar sauce is always the best! Thanks for sharing! You’re welcome. And thanks for the comment. I’ve never made crab cakes, but now I’m ready to give them a try! Love your fishcakes. I’m always looking for new recipes. Thanks! You’re welcome. I’ve been having great fun trying recipes I find on blogs, and not because of a shortage of cookbooks! It’s great when you can share ideas like this. I always add interesting recipes to my recipe program – Pepperplate. It’s such a fabulous program that I did a post about it. Thanks for stopping by! I love your post about a blue village. Can you imagine everyone actually agreeing to that anywhere else? Thanks. I checked out the recipe you mentioned and I’m anxious to try some variations. 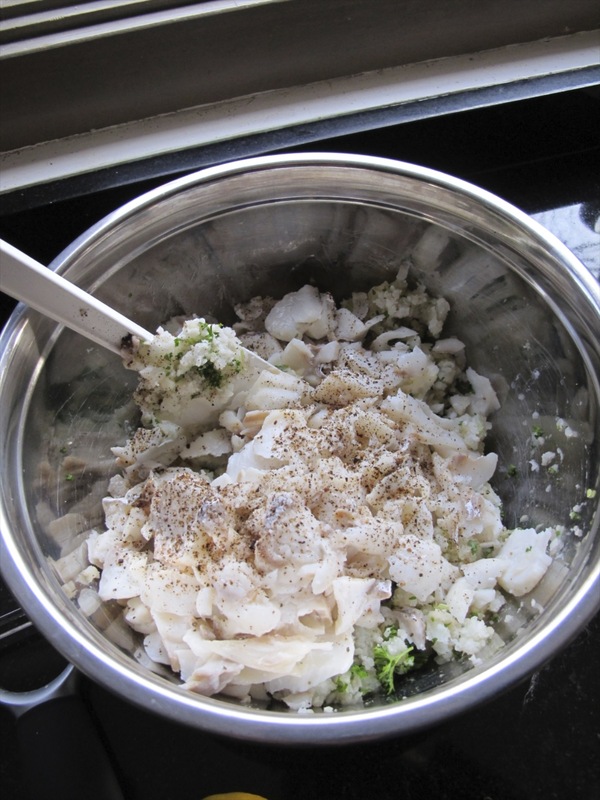 I will say that by cooking the fish and including an egg in the mix, they do hold together very well. Glad you like the photos. Sounds delicious, but I normally don’t have all those ingredients like cornichons, don’t even know what those are. Cornichons are cute, sweet little pickles, otherwise known as gherkins. They are often seen as a garnish with sandwiches. Also, you could substitute another hot sauce for the Sriracha, since you only use 5 drops! It is worth making. Thanks for commenting! These look delish! I wish the rest of my family would eat fish. And no, I did not intend for that to rhyme! Then for now I’d make the tartar sauce to use in sandwiches. It is so tasty! Thanks for stopping by! Tartar sauce was a staple of my young life, growing up in Australia. Yum. 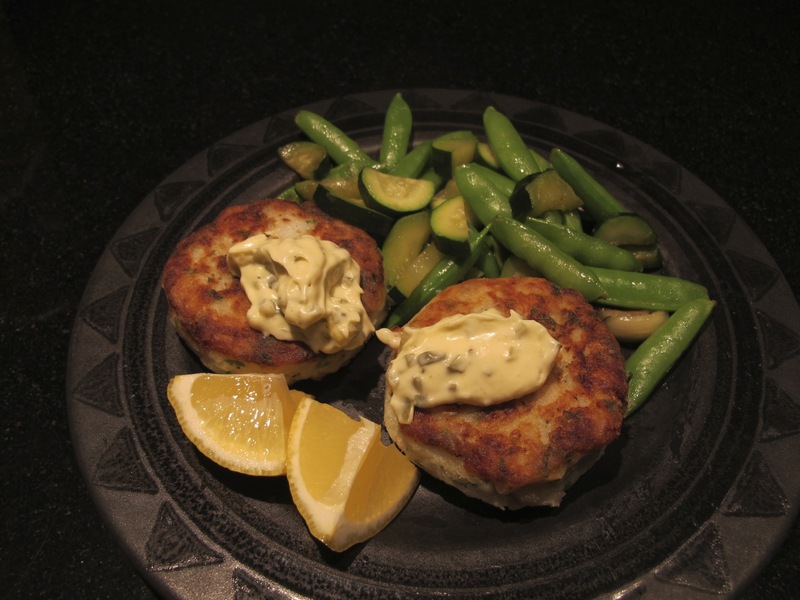 Our family tradition is salmon cakes but these sound great and the tartar sauce definitely worth a try. Thanks for cooking this recipe and passing it on…. Can’t wait to try them with salmon. Also want to substitute something for the flour and make them gluten free. There will be no stopping me!